MRE Logistics has been serving the mil-spec shelf-stable food needs of governmental organizations, humanitarian agencies, corporate and municipal preparedness programs, educational institutions, and concerned citizens worldwide since 1997. We specialize in supplying the highest quality GSA/UN approved Mil-Spec standard issue, and Cert. Halal MREs & disaster rations at the lowest cost and quickest delivery in the industry. We feed soldiers, firefighters, disaster workers, refugees, and citizens world-over. We are capable of delivering bulk and small orders of MREs' and disaster rations faster and safer through our manufacturing facilities in the United States as well as our ISO9000/1 certified Asian plant. Our MREs' are made-to-order to allow the freshest product and the full 10-year shelf-life. 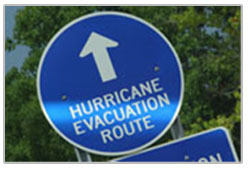 We can ship around the corner or around the world, right on time, even with bulk governmental or relief deliveries. Sea freight & air cargo are always on stand-by. We pride ourselves in offering the largest variety of menu options available, including Meal, Ready to Eat packs specially prepared for all religious observances, including Halal meals, as well as the only customizable 24-hour 3-Meal Pack in the industry which includes breakfast, lunch, and dinner items held in one convenient mil-spec retort pack. 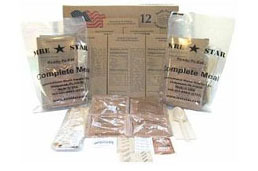 MRE Logistics is the master factory-authorized distributor for Mil-Spec I.M.S product, MRE Star, the U.S. distributor for the exceptional RationZ, MRE Logistics exclusive export-only Battle-Pack MREs and ration packs. These mil-spec rations are fielded with troops world-over and are an asset at every disaster site and food program around the globe. MRE Logistics will always work with you to meet or come in below your budget. Once we know your allotted budget, we can custom tailor your product to exceed your requirements and save you money. All of our meals are fully customizable to exactly meet your needs; both in nutritional requirements and cost. No matter your need, we will gladly customize your meals. Halal meals are available in every conceivable content and cost, from US $0.99 entrees to full mil-spec MREs and 3-meal 1-day packs. As the master factory distributor for I.M.S, and the U.S. agent for Golden Season, RationZ, and the extraordinary Battle-Pack military MRE, we are able to offer these high quality, military grade MREs’ at extraordinary savings. MRE Logistics offers not only discount MREs to governmental, educational, relief, bulk, and religious organizations, but our dedicated customer service staff will work with you to tailor your cost to required budgetary considerations. No matter your budget, we have product that will fit your requirements perfectly.